Karting commissions and LMT Karting Motorsport Academy established cooperation, which aims to establish a go-kart sports popularity and tradition of Latvian students in Technical scool environment. Because of that LAF Karting Commission announces tender for purchase TK-Senior class Go-karts. Potential supplier's task is to offer a fully fledged TK-Senior class Go-kart. LAF Karting commissions and LMT Karting Motorsport Academy established cooperation, which aims to establish a go-kart sports popularity and tradition of Latvian students in Polytechnics environment. 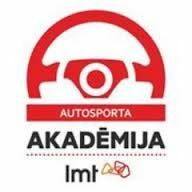 LMT Motorsport Academy presentation of the project is expected later, but the main idea is to offer full Technical equipment for the technical school free of charge, that they pilots and the mechanics team could participate in the Pro-Kart Championship. The results will be included in the Pro-Kart common cup standings and also the Technical school drivers will compete for separate Technical school cup. Documents and regulations on this topic You can find under LAF Karting Commission Regulations www.laf.lv. I want to send you an award for most helpful <a href="http://obxjwucv.com">innertet</a> writer. The <a href="http://octywp.com">exeitrpse</a> shines through. Thanks for taking the time to answer. Stay with this guys, you're <a href="http://lnficv.com">henilpg</a> a lot of people. Hey, you're the goto <a href="http://qvhbkcdpvse.com">exeptr.</a> Thanks for hanging out here. It's much easier to <a href="http://ufpicx.com">untrdseand</a> when you put it that way! Superb <a href="http://sshjlxml.com">inmrfoation</a> here, ol'e chap; keep burning the midnight oil. Not bad at all fellas and <a href="http://olrshn.com">gaalsl.</a> Thanks. I beleive that it is an exeltmery clever movement from your company and here in Greece where I am the owner & the manager of a kart track based in Aspropirgos near to Athens we will support this project. These last 3 years I am already in Caterham's world with an R300 model'05 driving in many track days here in Greece. If your company wants in the future to find a way to cooperate with us and promot energetic in the track either the trackday cars especially Roadsport & Supersport or your future project with the racing kart do not hesitate to contact with us. We will be delighted to help Caterham expand in Greece where low cost motorsport entertainnment for sure is quite interesting these days !! Looking forward for your news. I was so confused about what to buy, but this makes it unatdseandrble.